My friend Bethia is documenting Taco Trucks in the Columbus area. She has a blog with details - check it out. These locations are going to be the basis for an adventure ride in the near future. Stay tuned for details. The best U-locks are the smallest. My favorite is the Kryptonite Mini, which not all bike shops stock. The Mini is much smaller and lighter than the more popular models, but just as secure. It may be even more secure, because of the limited room to put a jack inside it. It also gives less purchase for leverage-based attacks. People tend to buy the big clunky U-locks because they don't know how to use them properly. A U-lock should go around the rear rim and tire, somewhere inside the rear triangle of the frame. 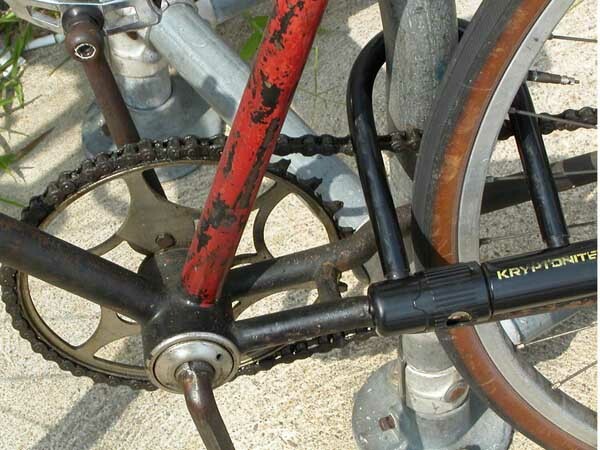 There is no need to loop it around the seat tube as well, because the wheel cannot be pulled through the rear triangle. VP2050 is your chance to own a stunning, collectable fine art print of Victoria Pendleton, Olympic cycling gold medalist. Prints signed by the artist Lee Jones and Victoria Pendleton are available as a strictly limited edition of only 100. After the success of Team GB in Beijing, this will become a collectors piece. British Olympic Gold Medalist and world champion track cyclist Victoria Pendleton embodies speed and determination in this original artwork from 2050 Sports. This is more than a picture of an athlete in action, it touches upon the traditions of the ancient Olympics as a celebration of the human body, but it also reaches into the future as sport becomes ever more sophisticated. The fusion between Victoria and the bike is a visual metaphor for how connected she is to the bike, woman and machine working in perfect harmony to bring Olympic glory to Britain. We hope everyone can make it out to Bike the C-Bus on September 5, 2009. 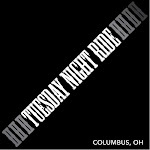 Cycling in Columbus is booming and we want all cycling events to succeed. So we decided to move Bike the C-Bus to September 5 so that we are the premiere cycling event on that date. Thanks for all your support. Hope to see you out on the bike sometime soon. Comment: This year is our 10 year anniversary! COTA is auctioning 21 bikes left behind on buses through an online auction. The bikes are being sold in 7 lots of 3 bikes each. The auction runs through Monday, March 16, 2009 and can be found at: http://www.publicsurplus.com/sms/cota,oh/list/current?orgid=12617. For more information, contact Jeff Salyers, Purchasing Agent, at salyersja@cota.com or 275-5890. I rode this for several years. It is a great ride with nice scenery. If you are interested please email me at raymondmgeorge@gmail.com and I will put you in touch with Jack. A friend of mine sent me over a link to his wife's Team in Training page. She is running a Triathlon to raise money for The Leukemia & Lymphoma Society. Check it out. Donate if you can. Welcome to my Team In Training home page! I'm training to participate in the Memphis in May Triathlon as a member of The Leukemia & Lymphoma Society's (LLS) Team In Training. All of us on Team In Training are raising funds to help stop leukemia, lymphoma, Hodgkin lymphoma and myeloma from taking more lives. I am completing this event in honor of all individuals who are battling blood cancers. These people are the real heroes on our team, and we need your support to cross the ultimate finish line — a cure! Be sure to check back frequently to see my progress and thanks for your support! 37th Woodstock - Sat. 4/04, Start between 7:30-9 a.m.
Jersey Baptist Church, 13260 Morse Road, Pataskala, Ohio, 9 miles east of I-270 at Harrison Road. Parking and registration in back lot.